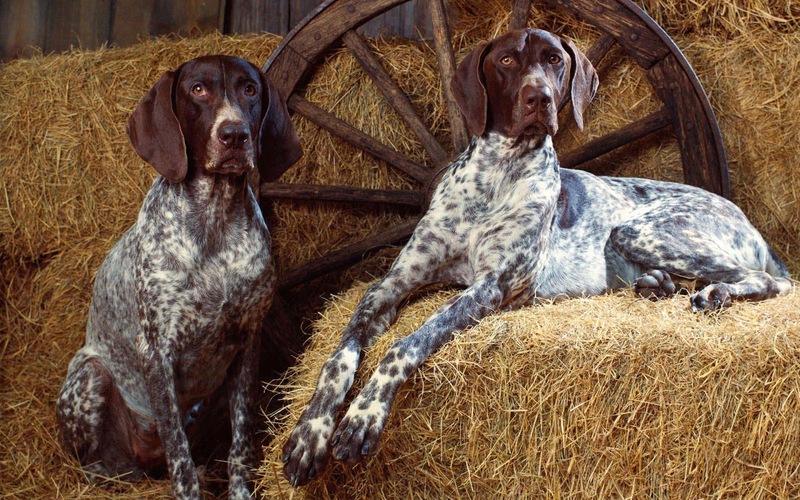 Wallpaper with two dogs in the barn and hay bales and a old wheel. Feel free to download or share this photo with your friends. Does anyone know what race or breed this is?